He led us through the rivalry between Catholic and Orthodox Ukrainian traditions, the weaving of religious, ethnic and linguistic influences in amazingly diverse small communities, the difficulties of securing priests and bishops for the new church, and the very emotional reception of visiting priests in the spiritual vacuum of settler society, where they officiated at weddings, funerals and a backlog of baptisms. Dr. Balan also mused on the widely held view that Ukrainian Canadians were a historically self-contained group, holding fast to their cultural traditions and only reluctantly adapting to the new land. 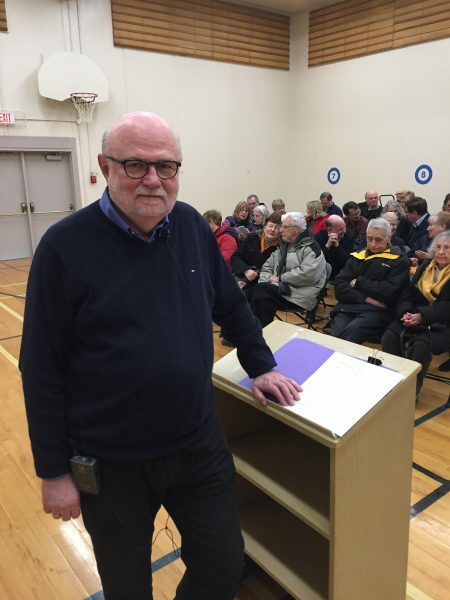 He showed instead how Ukrainian immigrants embraced the realities and opportunities of their new country and created their own rich variation on Canadian Identity – the Ukrainian Orthodox Church of Canada being a perfect example. As with so many of our speaker series presentations, the historical echoes sound very loudly today.